Dina Nayeri has been named the seventh recipient of the Paul Engle Prize, presented by the Iowa City UNESCO City of Literature organization. Nayeri will receive the prize, which includes a one-of-a-kind work of art and $10,000, during a special ceremony as part of the Iowa City Book Festival on Oct. 4. The event is at 7 p.m. at the Coralville Public Library, and is free and open to the public. Speaking about the award, Nayeri said, she was honored and moved by the news. Nayeri is a novelist, essayist and activist who has written extensively about the life and challenges of refugees. She has published two novels. Her debut, A Teaspoon of Earth and Sea, was released in 2013 and translated to 14 foreign languages. Her second novel, Refuge, was released in 2017 and was a New York Times editor’s choice. Her acclaimed essay “The Ungrateful Refugee,” was published in The Guardian as a Long Read in 2017 and was anthologized in The Displaced, a collection edited by Pulitzer Prize winner Viet Than Nguyen. She holds a BA from Princeton, an MBA and Master of Education, both from Harvard, and an MFA from the Iowa Writers’ Workshop, where she was a Truman Capote Fellow and Teaching Writing Fellow. She lives in London. Roxane Gay, a writer, professor, editor and commentator. She is the author of the short story collection Ayiti, the novel An Untamed State, and the essay collection Bad Feminist. Her new memoir, Hunger. She has won numerous awards for her writing. 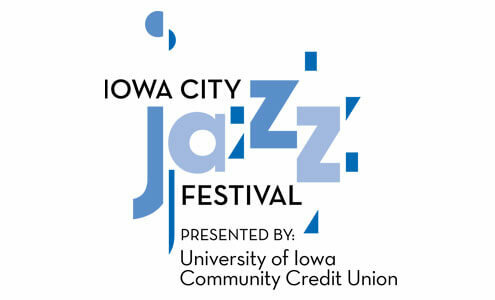 How fitting that on the 10th anniversary of Iowa City earning the designation as a UNESCO City of Literature the Iowa City Jazz Festival has three major acts that incorporate literature as an integral element of the performance. Each night of the festival brings an innovative blend of literature and music, as artists find inspiration in the written word. The literary connections begin at 9 p.m. on Friday, June 29, with Iowa City’s own John Rapson, director of the jazz studies program at the University of Iowa. His “Hot Tamale Louie” was inspired by a 2016 New Yorker article by Kathryn Schulz. That piece, “Citizen Khan,” tells the story of Zarif Khan, an Afghani who made his way to Sheridan, Wyoming, around the turn of the last century, and began selling tamales. Rapson created a musical production that blends Mexican waltzes, Western ballads, Eastern folk songs and more, all woven together with jazz, to tell Khan’s story. Things continue at 9 p.m. on Saturday, June 30, with the Jane Ira Bloom Quartet. Bloom’s latest album, Wild Lines, which, as the album subtitle states, finds Bloom “Improvising Emily Dickinson.” The Soprano saxophonist and composer carries her admiration for the 19th century poet through the recording studio and onto the stage, with songs paying tribute to Dickinson. A special two-CD version of the album incorporates readings of some of the poems that inspired the work, drawn from the collections The Gorgeous Nothings and Emily Dickinson and The Art Of Belief. The weekend closes – from a literary standpoint – with a performance at 6 p.m. on Sunday, July 1, by Matt Wilson’s Honey and Salt, a group that performs music inspired by the poetry of Wilson’s fellow Illinois native Carl Sandburg. Wilson hails from tiny Knoxville, Illinois, just about five miles from Sandburg’s home in Galesburg, and was born just three years before the poet’s death. Sandburg’s work is wide ranging, in some ways capturing early 20th century life as well as anyone. Wilson is able to pick and choose from the poet’s vast catalog, finding poems that work well in song or in recitation. He groups these into sections that touch on city life, prairie life and music. These performances, which find journalism and poetry pulled off of the page and given life through song, are a fitting celebration of Iowa City’s literary milestone. Kathrina Litchfield of the UI Center for Human Rights is pleased to announce that this fall she will be offering her annual 1-credit-hour course on UICHR’s One Community, One Book on-site at IMCC Oakdale. Half of the students will be UI LABB students, and half of them coming in from the UI campus. The class will be examining the theme of “Redesigning the American Dream” through reading the 2018 OCOB selection Reading with Patrick: A Student, a Teacher, and a Life-Changing Friendship and several other texts. OCOB author Michelle Kuo will not only be visiting our campus for a community lecture in early November, she will partner with Litchfield in teaching the last two weeks of the course inside the prison. Registration for the UI fall 2018 semester has begun, so please share information about the course with undergraduates who might be interested. The course helps to fulfill requirements for the Certificate in Human Rights but is also open to all majors. Interested students should contact Litchfield via email at kathrina-litchfield@uiowa.edu. Attention: This course will be taught on-site at the IMCC Oakdale Correctional Facility. UI campus student enrollment is limited to 12, plus 12 UI LABB students from the facility. Students must contact the instructor before their enrollment will be processed. Students are responsible for their own transportation to and from the facility (7.7 miles each way). Students must contact the instructor for permission to enroll in the course.